Enthusiasts of astrology and theology will appreciate Astrologer’s Apprentice for its ability to challenge the perception of God. Part coming-of-age story and part cyberthriller, David John Jaegers’s Astrologer’s Apprentice is a journey into philosophical theology through the lens of an astrology-obsessed writer and his young protégé. Blending the ancient art of stargazing with modern Internet culture, Astrologer’s Apprentice questions society’s traditional views of God and astrology. The story follows a young man named Robert as he navigates a family move to the country, teenage romance, and a relationship with his eccentric Uncle Rufus. Robert begins to learn astrology under the singularly minded Rufus, who has a burning obsession to legitimize astrological studies. Rufus’s quest leads him, Robert, and Robert’s friends into a world of white lies, data hacking, and mysteriously powerful people who can help bring Rufus’s dreams to fruition. Country life is exactly what Robert needs to blossom from a smart but shy boy into a strong and confident man. Robert’s frequently awkward interactions make his transition into adulthood seem relatable; he’s insecure around his good-looking friends and struggles to balance his family’s expectations of him with his own goals. Typically for a teenager, Robert is also flustered by many of the women in the novel, most of whom are vehicles for the characters to explore their sexuality. Robert treats women as life lessons instead of people, and Rufus uses them for escapist fantasy; very few of the female characters participate in the philosophical conversations that are at the heart of the book’s message. The deep discussions between characters do not seem forced, but they are clearly a channel to express potentially controversial theological viewpoints. When the characters are not engaging in debate, the novel’s pacing can be unnecessarily detail oriented, and there are many lengthy descriptions of events and environments that are disconnected from the plot. Robert’s growth is paralleled with Rufus’s odyssey from a teacher and writer to a member of a curious organization of people who claim to have the same goal of improving astrological information. As Rufus’s story develops, the characters take on increasingly larger risks to accumulate birth data. It’s hard to imagine anyone, even those enthralled by the zodiac, agreeing to steal information from government organizations in the name of astrology. One character jeopardizes his job with the Census Bureau, and Robert’s friends are barely out of high school when they plot multiple data attacks on the United States government. Although there are many references to the subjects of religion and God, information about astrology is strangely absent. Rufus and Robert discuss aspects of their signs and houses from time to time, but more explanation of the zodiac, sign traits, and how these factors contribute to the personalities and decisions of the characters would have helped legitimize their behavior. This book conjures up a charming countryside farmhouse to escape into, and the slower-moving parts of the novel are punctuated by Rufus’s peculiar escapades into the unknown. 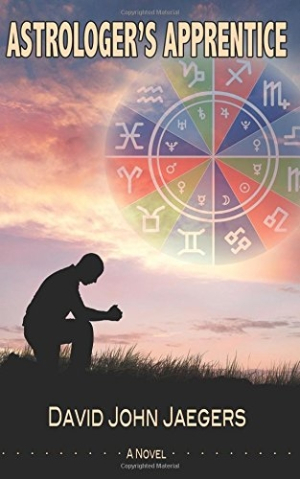 Enthusiasts of astrology and theology will appreciate Astrologer’s Apprentice for its ability to challenge the perception of God and to what extent the universe plays a role in life.